"He wasn't obeying their order to put it down, so it was definitely some sort of a protest," Kingery said. 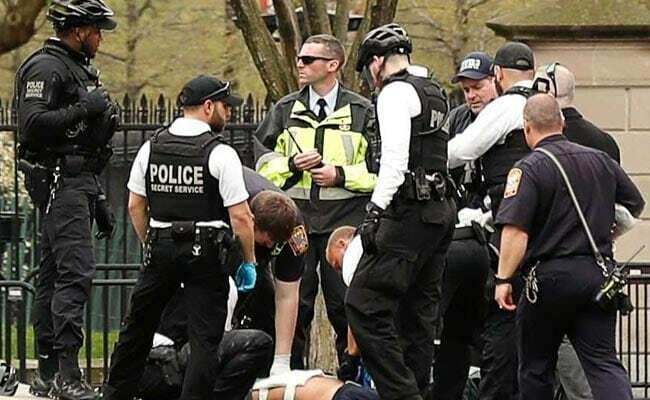 The Secret Service put out the fire, knocked him out of the scooter, and dragged him to a statue in nearby Lafayette Square where other officials were waiting, he added. News video showed emergency medical personnel arriving to tend to a person who police had surrounded on the ground. A CNN reporter on Twitter cited a Secret Service spokeswoman as saying there was no threat to U.S. President Donald Trump. The incident occurred shortly after Trump spoke at the White House about the nation's 5G network.